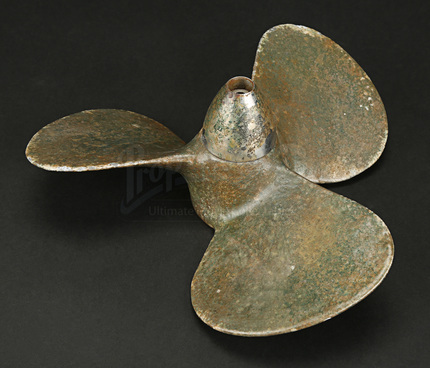 A propeller from Michael Apted’s 2001 spy thriller Enigma. Adapted from the novel ‘Enigma’ by Robert Harris, it tells the story of World War 2 codebreakers at Bletchley Park. Tom Jericho (Dougray Scott) asks Hester Wallace (Kate Winslet) for help piecing together clues to help him solve the disappearance of love interest Claire Romilly (Saffron Burrows). 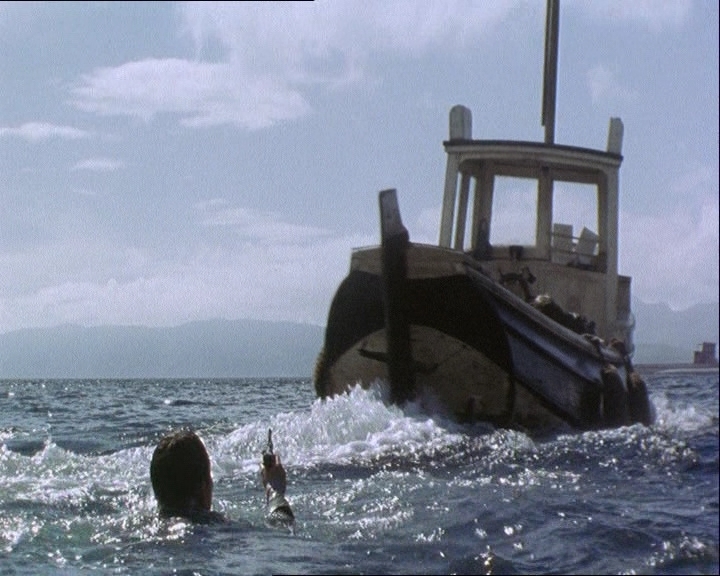 The situation is compounded by the attention of MI5 agent Wigram (Jeremy Northam) and the U-boat pursuit of 37 U.S. ships, who the codebreakers must save. 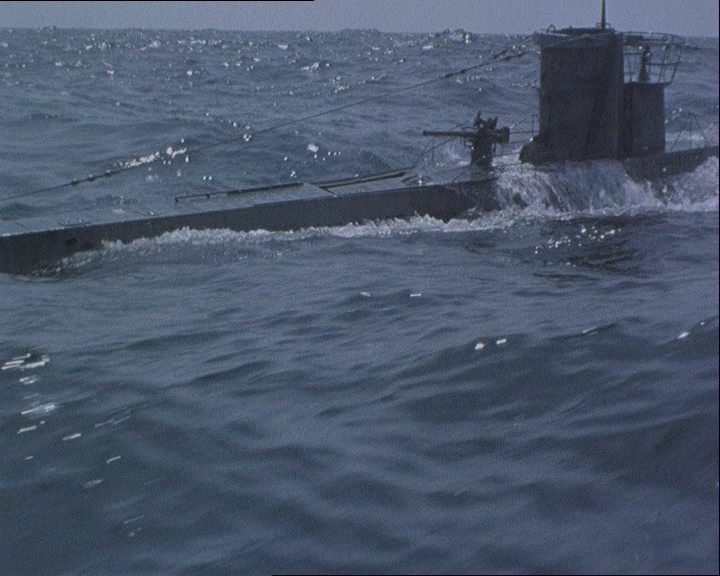 U-boats were used during several scenes, including underwater torpedo launches. 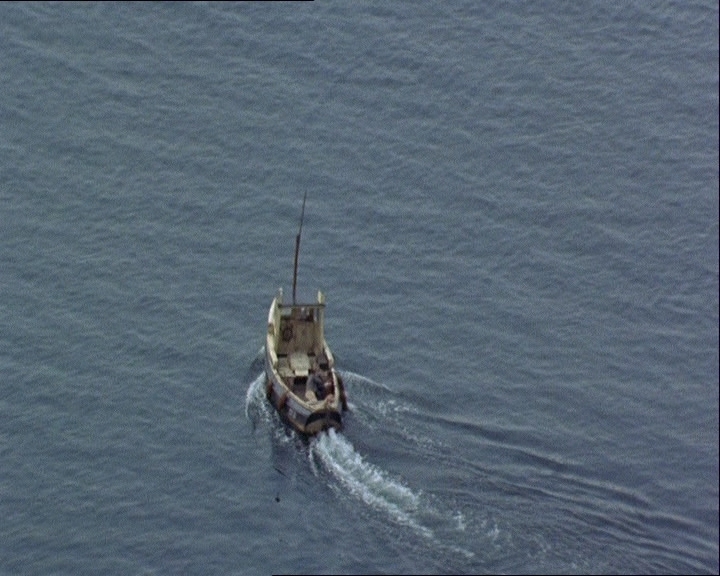 A fishing boat was used in the scene where Puck (Nikolaj Coster-Waldau) tried to escape the dock in a small fishing boat, pursued by Jericho. 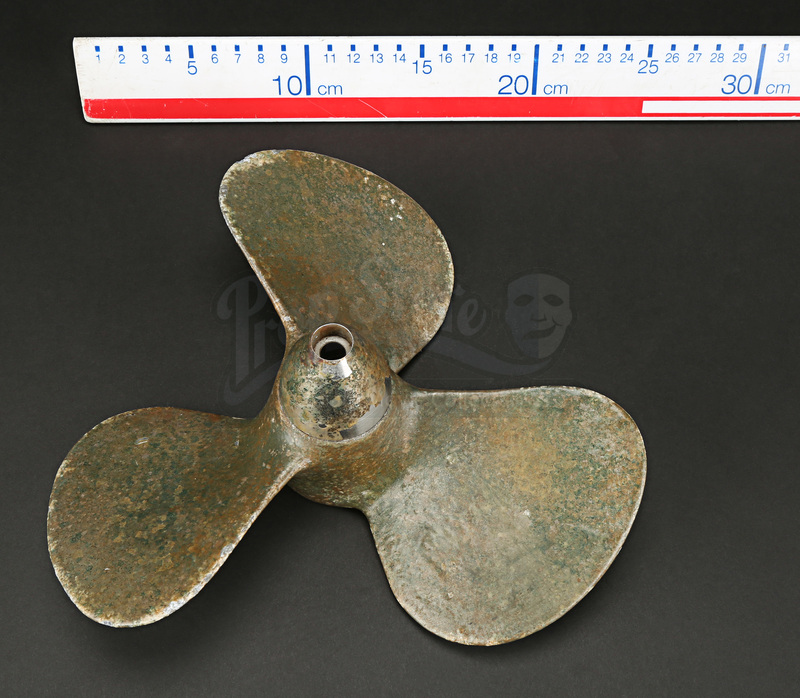 The propeller may have been part of the production for one of those sequences. This propeller is a similar size to a small motor boat propeller and is made from solid metal. 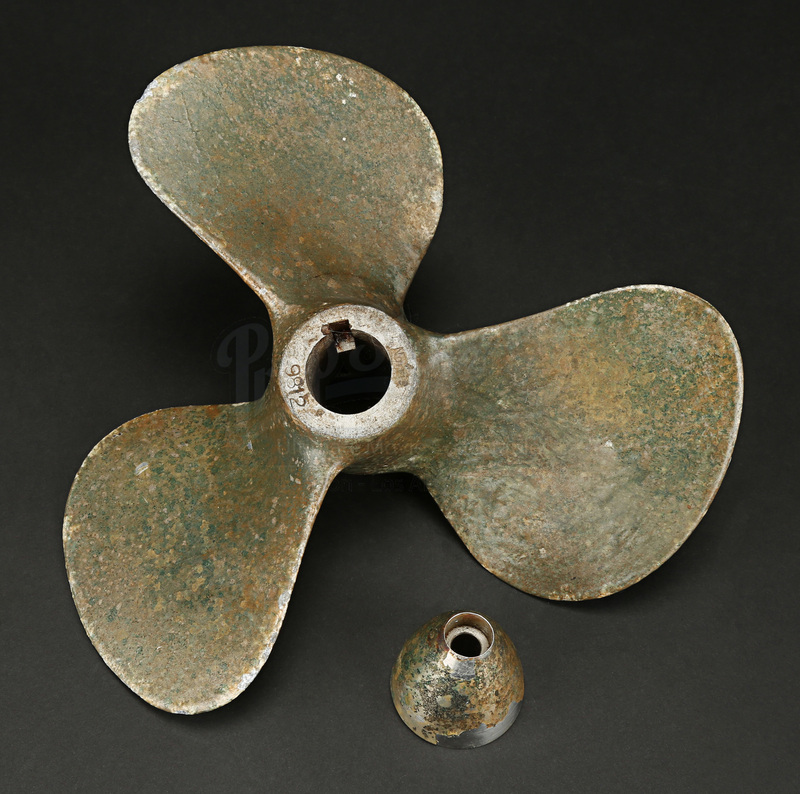 The boss is included, separate to the main propeller. 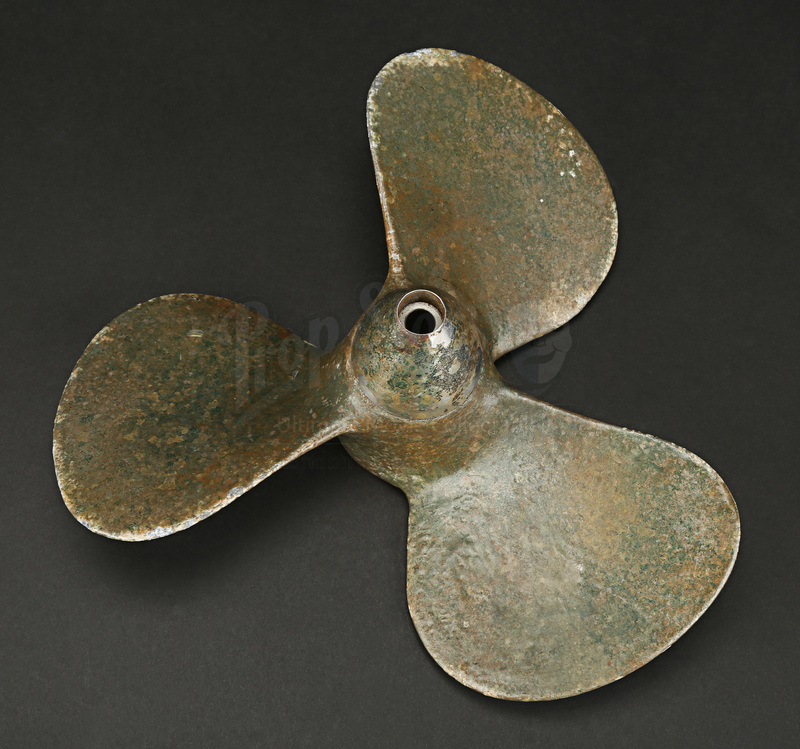 Each component is painted army green and has been heavily distressed for production, with chipped paint and signs of rusting. Despite this wear, the piece remains in good overall condition.